In the health community, a lot of importance is placed upon waist size. 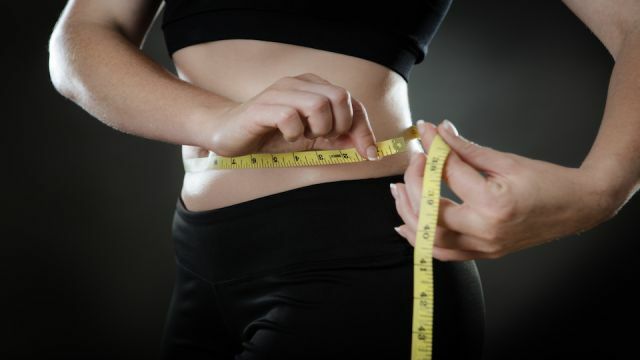 It is proven that a disproportionate waist-to-hip ratio indicates obesity and is an appropriate indicator that someone is carrying an unhealthy amount of belly fat. However, there may be more concerns associated with a bulging gut, including diabetes, heart health, and even cognitive ability. Recent research published in the British Journal of Nutrition has shown that there may be a link between the circumference of your waist and your risk for developing Alzheimer’s, dementia and other types of cognitive decline. This study specifically examined the mental acuteness of 5,000 individuals over the age of 60. They used information based on waist-to-hip ratios and tests such as the Mini-Mental State Examination and other tests designed to asses memory, language, and attention to chart their cognitive ability. Researchers noticed a definitive link between belly fat and mental decline. The higher the waist-to-hip ratio, the worse these individuals performed in the tests. Of course, it is hard to say with certainty that the waist-to-hip ratio is purely to blame for this difference, as there could be many unconsidered factors such as lifestyle and family history that could contribute to the lower test scores. Obesity has already been found to create many health concerns as excess fat stores blocks blood flow to various parts of the body. When the brain is unable to receive proper blood flow, conditions such as Altzheimers and Dementia can develop. You may be wondering, what about BMI? For years, body mass index was the most popular form of determining whether or not someone was overweight or obese. However, this system is quickly going out of fashion in favor of the more accurate waist-to-hip measurement that is a better determiner of overall health, not just weight. Find a fabric tape measure and breathe normally, allowing yourself to relax. Locate the top of your hip bone by placing your hands around your waist and squeeze slightly as you move your hands down until you reach the curve of your hip bone. Wrap the tape measure around your waist, or about two inches above your hip bone and record the circumference. Next, identify the widest part of your buttocks and wrap the tape measure around it and your hips. Divide your waist circumference by your hip measurement, and you have your waist-to-hip ratio. Now that you have determined your waist-to-hip ratio, what do you do with this information? For men, any waist-to-hip ratio that is 0.96 or higher indicates a moderate to severe health risk. For women, this number is 0.81 or higher. If you have discovered that you have an unhealthy waist-to-hip ratio, there’s no need to panic. However, it is important that you take steps to reduce the amount of visceral fat around your waist as this could lead to serious health complications in the future if it hasn’t already. Most people are well aware of the fact that proper, heart rate elevating exercise leads to a healthier body. Even simply walking to the store instead of driving, or strolling around the park on your lunch break can have a dramatic effect on your energy levels and lung capacity. Going cold turkey is never a good idea. If you eat an unhealthy diet, cutting out everything that you enjoy is bound to lead to binge eating and backsliding. Start by removing one unhealthy food group form your life and build on that. For instance, if you enjoy a sugary soda once a day, switch to a healthy herbal tea or unsweetened sparkling water. Keeping track of what you eat will make you so much more mindful of everything that you put into your body. When you go to grab that donut, you’ll have to ask yourself if you really want to have that sugary junk food written down in your food journal. Hey Buddy!, I found this information for you: "What Your Waist Size Says About Your Brain". Here is the website link: https://www.thealternativedaily.com/waist-size-says-about-brain/. Thank you.